The Object of the Trust is to commemorate and perpetuate the sacred memory of the martyrs of Mahakoshal, who lost their precious lives in the Congress Movements for the attainment of India’s Independence from 1920 to 1945, by constructing building and institutions of a permanent character on the land taken on lease from the Municipal Committee Jubbulpore, to have a Spacious Hall, Library, Reading room, Museum, offices, guest houses, shops, swimming pool, parks, playground and such other constructions as may be necessary from time to time. The trust has met its objects by constructing and maintaining the beautiful memorial building of Shaheed Smarak along with the spacious auditorium hall, library & reading room, playgrounds, etc. Walking path for public to walk in evening and morning with spiritual music & mantras on the music system along with walkway. Children Park has been developed with all modern types of swings for children’s free of cost. Senior Citizen Park with fountain has been developed for Public to enjoy the nature’s beauty in the lush green park. Trust has also provided space for distribution of anti Cancerous juices to registered Cancer Patients free of cost. Yoga classes are also taking place in the premises of the Trust. Cricket Academy is also being run in the premises. Trust has got Library containing books of high value of renowned writers on Art, Literature, Play and Story. Books on regional languages are also available and open to all. In order to encourage village artesian and handloom/ hand spun and woven cloth & material the Trust allows holding of HAT BAZAR thrice a year for 10 days at nominal rent. To promote cultural activity in Jabalpur a separate cell has been developed and advisor and incharge of this cell is Shri S. K. Nigam. 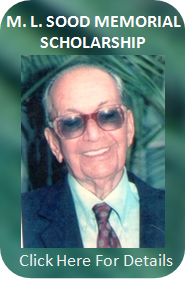 Mr. S. K. Nigam alias popularly known as “Jadugar” is rendering honorary services to the cultural cell.